The study of nanomechanical systems has evolved into a substantial and growing field of research. The interest in nanomechanical systems is fueled by their applicability to a wide range of problems: In addition to the ability to use these solid-state systems to investigate fundamental quantum physics and to target the frontiers of quantum mechanics, these systems also have applications in classical and quantum information technology and as ultrasensitive detectors of mass, displacement, acceleration, force or spin. As a result, research directions such as cavity optomechanics and nanoelectromechanics today attract a significant number of researchers from around the world. By their nature, nanomechanical systems are interdisciplinary, since they can couple to electrical circuits or optical cavities, and have potential applications in nano- and optomechanical technologies. 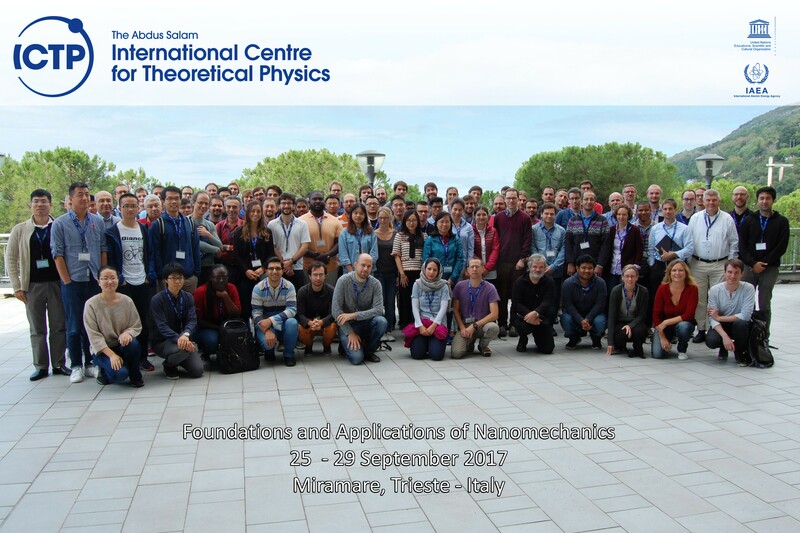 This workshop will highlight recent experimental and theoretical breakthroughs at the forefront of international research, and bring together international experts from the various fields of nanomechancs.